Be the first to hear about their new releases and deals. 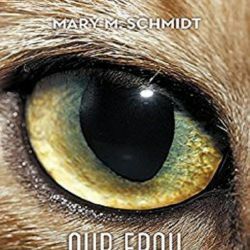 Download the Booksprout app and search for Mary M. Schmidt today! Mary M. Schmidt is a graduate of Notre Dame University in Baltimore. She spent time in Rome during the '60s, getting to know the feral cats. Her previous book, Cat Lady, is about that experience. Cat Lady won the Jaffalogue's Picks award for best long narrative published in 2015. Mary works for a local hospice doing transitions, that is, assisting terminal patients with their end of life procedure. This is not in the least bit depressing! Mary makes her home near Annapolis with her cat Graycie.